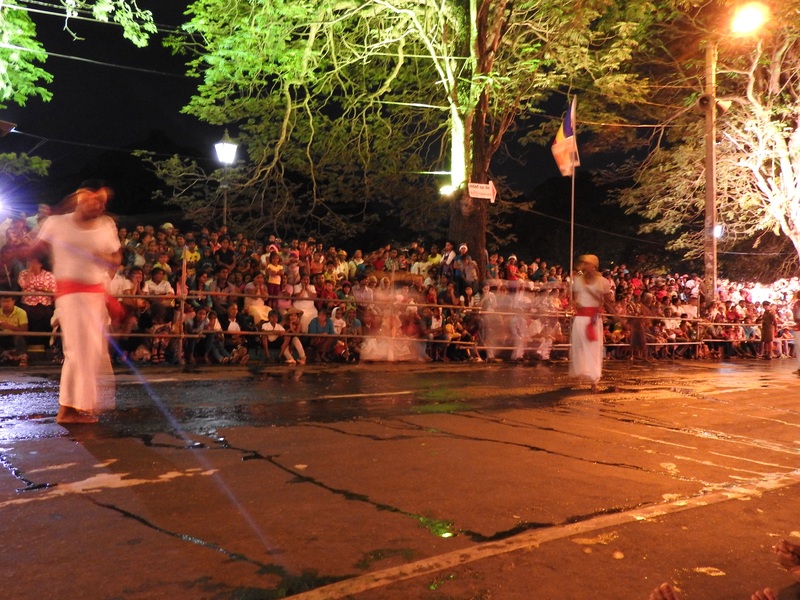 We arrived on the second last day of Perahera, the biggest celebration on the Sri Lankan religious calendar, when thousands of pilgrims descend on Kandy to worship and to line the streets for the nightly parade. We had been “lucky” enough to pre-book seats in front of the Queens Hotel, one of the better street viewing spots. But what we didn’t realise was that we would be packed in like sardines barely able to move our legs or change position to alleviate the pressure on our backs or bottoms! 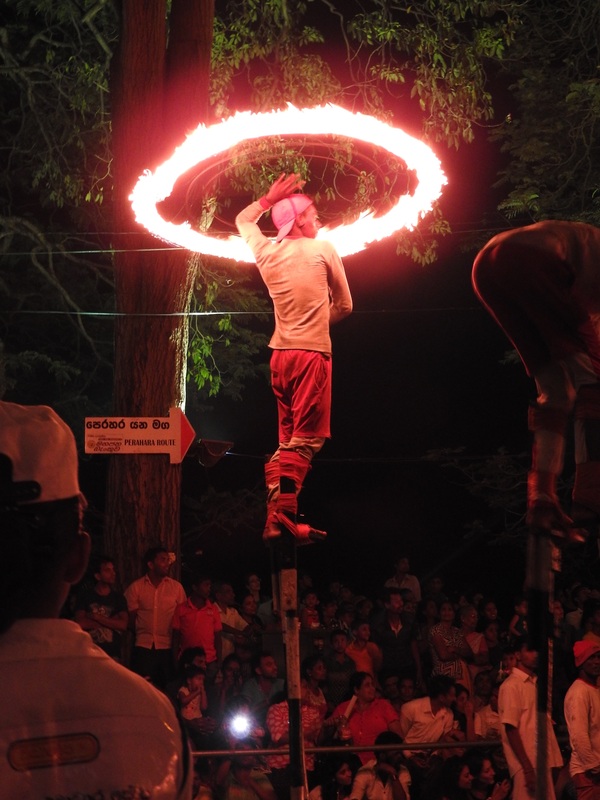 For five hours, choked by the fumes from coconut torches doused with kerosene, we were pinned to our seats as beautifully costumed dancers, fire jugglers, monks, drummers, whip crackers and elephants paraded slowly past. It was exhilarating and at the same time excruciatingly uncomfortable, but something we will never forget. Here’s a quick glimpse of the parade …. Ah, you describe it perfectly! I am enjoying seeing the trip through your eyes.